Despite an increased focus on diversity in recruitment, progress for the Financial Services (FS) industry has been slow, with only around a third of FS organisations seeing a rise in female applicants as a result of their specific diverse recruitment practices. These are some of the findings of a new PwC report, Gaining an edge in the competition for talent: Inclusive recruitment in financial services survey 2017. The report is based on a survey of 276 employees working for various organisations across the FS industry, and employer representatives from 55 different FS organisations. The report finds that 91% percent of FS employers have established a diversity & inclusion strategy, putting them ahead of the average for all sectors (81%). And over three-quarters (76%) have aligned their recruitment and selection strategy with their diversity and inclusion strategy. At the same time, more than three quarters of FS employers (76%) are actively trying to attract women – significantly more than the average percentage for all sectors – and over half (51%) are seeking to attract more people from other underrepresented groups. But the report reveals that, despite this effort, diversity and inclusion is still more of a high level commitment than a reality on the ground within many FS organisations. Only 36% of FS organisations saw a rise in female applicants as a result of their specific diversity recruitment practices. Less than a quarter (22%) reported having received more applications from minority candidates. And only 25% have been able to attract more experienced women as a result of the diversity practices they've employed in their recruitment efforts. In fact, the only area where FS companies have been more successful than other industries is in external female leadership appointments (42% for FS, compared to 24% for other industries). The progress is disappointing given the significant focus we have seen FS companies put on this issue compared to other industries – indicating that more effective interventions and actions are needed to get the results firms are looking for. To succeed in recruiting and keeping female talent, our research highlights a number of key areas for organisations to explore. Female talent working in FS are ambitious: They expect to be appropriately rewarded for their talents and efforts and are looking for career opportunities. Their readiness to push hard for what they want is reflected in the fact that they're more likely to have negotiated with their employer on salary when accepting their recent job than men (60% to 52%), and more likely to have secured an increase (36% to 32%). Diversity matters: Candidates want an honest pictures of the employment experience and culture before making a decision on where to work. 69% of female participants working in FS looked at the diversity of the leadership team when deciding to accept a position with their most recent employer. 74% said they explored whether an employer had positive role models similar to them before accepting their most recent position. FS organisations need to 'walk the diversity talk': When FS employers were asked about the extent to which they've incorporated diversity and inclusion within their employer brand, less than 30% said they've shared information about the diversity of their workforce and leadership team. Less than 40% communicate their diversity strategy and associated targets. The employer findings are based on a survey of representatives from 55 different FS organisations, which include 33 banking and capital markets organisations, 11 insurers, eight asset and wealth management businesses and three FinTech businesses. Employee findings are based on 276 FS participants from various organisations, which include 152 working in banking and capital markets organisations, 64 in insurance, 33 in asset and wealth management businesses and 27 in FinTech businesses. The sample includes 44 men and 232 women. 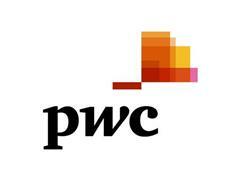 The survey is part of PwC's Winning the fight for female talent research, launched on International Women's Day.